BYM has nearly 1500 alumni in its network. They are engineers, academics, bankers, consultants, doctors and more. They come from diverse backgrounds and make a difference through entrepreneurship, social projects and academics. Their successes define the impact of BYM and continue to make Africa and the world a better place. Please see below for a selection of BYM alumni initiatives. Alumni who’s been inspired by BYM? Share your story with us. 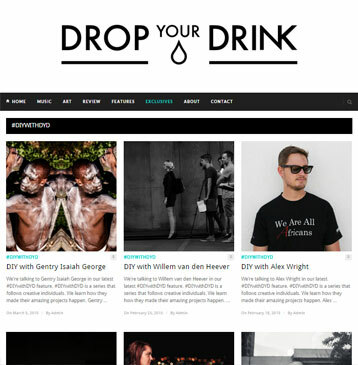 Do It Yourself with Drop Your Drink (#DIYwithDYD) is an interview series that follows young creative individuals all over the world. It is a platform to learn how these individuals created their projects/small businesses and made them successful. We felt that not enough attention was paid to the creative heroes making impacts out there. #DIYwithDYD inspires our readers and also grants recognition to these individuals. There are two ways we’ve been able to see the impact of #DIYwithDYD. The first has been people’s responses to the features. We receive so many emails from people that have learnt something incredible from the features and have insisted they’re going to start their own projects. The second impact we’ve seen is the response from the creative hubs in Johannesburg and Pretoria mainly. There has been praise for providing a platform to give recognition to creative individuals. One of our features, Willem van den Heever, a young filmmaker who has had amazing success overseas said that we’re breaking people’s perceptions of South African art in South Africa. There is a trend of South African artists being revered abroad but not in South Africa. We’re educating people and doing our bit to change that. I came out of BYM revved up and ready to change the world again but I quickly realized that more people needed to experience the same fire. They need to hear the same lessons and learn how to overcome difficulties when they start their own ventures. We’ve tried to make #DIYwithDYD into written stories that delegates could hear at a BYM conference. Our platform means that we won’t only get to 100 people at a time, we’ll get to thousands. HOW CAN PEOPLE GET INVOLVED OR SUPPORT YOUR PROJECTS? 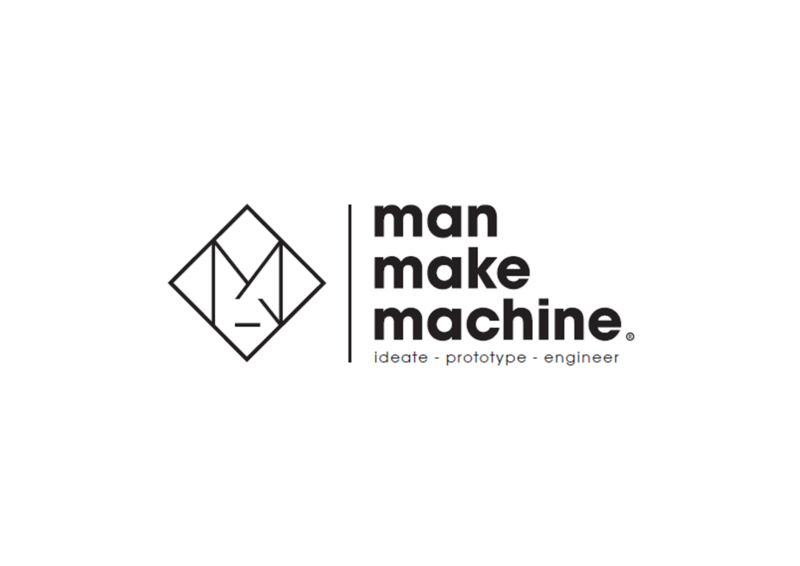 ManMakeMachine is a leading edge Technology Hardware Solution development business owned by BYM alumnus Ian Duvenage. The company partners with corporate clients to rapidly ideate, prototype and engineer solutions, increasing their ability to get new products to market ahead of their competition. The team is made up of exceptionally talented individuals from across Africa and the company has offices in South Africa and in Kenya. We partner with clients to build advanced technology solutions that shifts industries, fundamentally changes companies and impact lives. Our clients are current or aspiring leader in their industry, that have identified the need for faster innovation cycles and more focus on R&D and advancing through leading edge technology. ManMakeMachine evaluates client challenges through the dual lens of Technical Viability as well as Commercial Viability. The focus is to bring deep expertise, experience, judgement and pattern recognition to corporate growth challenges. The OculusID® DoA scanner is biometric camera & software that analyses how the pupils of eyes react to light and also indicates pupil dilation and constriction. When under the influence of drugs, the pupil of the eye reacts slower to light, and may be dilated or constricted depending on the class of drug. Recently featured on CNN. My need to make an impact was made more visible during the BYM summit. Shortly after I acquired the technology business for their team and the ability of the business to make a massive impact through the technology we are able to develop. The summit increased my network and I have interacted with various individual after the conference as partner/ potential clients. Also the link with Barclays, Awethu and other players is likely to bear fruits in the near future. We work with companies that want to lead, and that have the need and willingness to explore technology as an enabler of their growth in South Africa and the rest of Africa. We believe that technology can change peoples lives and livelihood by reducing cost, making services more accessible and connecting people to markets, thus we would consider getting involved in anything that might have an impact. People can get involved by motivating their organisations to think more broadly about innovation, or by starting a conversation with us about their own ideas for projects with impact. Opportunity for exceptional engineers to do holiday work with us in future. In addition to driving education amongst young female learners, the program endeavors to create all-round wellness in teen girls focusing on areas such as, Life Design & Goal Setting, Education, Entrepreneurship & Career, Leadership & Service, Women Wellness and Dignity. The program focuses on encouraging young women to plan for the future, fulfill their potential, get a tertiary education and become independent, empowered and successful professionals or entrepreneurs, as well as catalysts for positive change in their communities. DreamGirls impacts the teen girls in the program through personal and professional growth, self-development, motivating them to their highest potential, mentorship and coaching, providing them with access to information, and encouraging them to participate in community projects and initiatives, as well as small businesses. Mentors receive mentorship training, and spend one-on-one time with their mentees. Since it’s inception in South Africa in 2011, over 450 teen girls and young women have participated in the programme across three cities in South Africa; Cape Town, Johannesburg and Polokwane. People can get involved in the program by; applying to be a mentor (young female professional between the ages of 21 and 35), applying to be a mentee (Grade 11 & 12), and becoming a member of the organizing committee. Professionals can also get involved by becoming a keynote speakers at workshops. Further more, there are donor/funder, media, partnership, and events opportunities. This a collective mentoring programme for secondary school learners for improved academic achievements, excellence and personality development. It’s unique because it’s a platform for BYM alumni to create other BYM delegates, starting from the bottom. 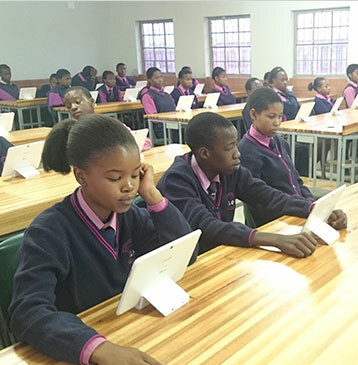 There are currently eight learners from across three schools—Tswelepele High School in Tembisa, Bhekilanga High School in Alexandra and Thuto Lesedi in Vosloroos—being mentored as of January 2015. Learners have academic aspirations to be in Actuarial, Accountancy, Engineering, Health and Vocational fields. 50-70 per cent of all township public school learners in SA face the challenge of academic exclusion. A large percent of those learners go on to be relegated to unemployment and permanent economic exclusion. There is a growing body of evidence that proves the benefits of well-designed mentoring programmes for at risk youth. ‘Make the Grade’ is an attempt to intervene by using the BYM network to collectively build a support mentoring structure for a group of at risk learners with a particular focus on academic achievement. Taking part in BYM was like a being in a scientist’s crucible—the intentionally designed programme and delegate interactions were the refining and purification process. In other words, the summit left me altered and convinced that this experience had to be exported to more people, as an imperative—The BYM Imperative. HOW CAN PEOPLE GET INVOLVED OR SUPPORT YOUR PROJECT? Volunteer to a once off Skype chat with learners. Take time to motivate and share experiences, challenges and academic journeys and also provide career specific advice. Donate second hand high schools material—study guides, dictionaries, exam papers and other relevant material. Please note, we are not accepting cash donations. 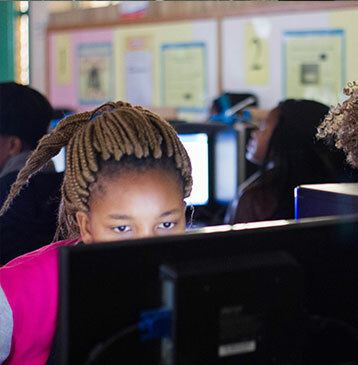 Code4CT starts by presenting girls with a real human need that needs solving, and then the participants learn to create and code the web as a means of creating a solution. This approach frames coding skills as tools to tackle social problems. After the program participants reported an increase in self efficacy regarding their ability to succeed in tech careers, a broadening of their career options and an understanding that tech can be used for social impact. Code4CT 2015 will see 75 girls participate in a 3-week residential program in July. Present your work at Code4CT if you work in IT and would like to inspire girls with the possibilities of tech. Thase Innovation Hub is the first-ever rural school based innovation hub. This project is in the initial phase of flipping the classroom while connecting the school with the community to drive digital inclusion in rural areas. Through this center we will find students with the biggest potential and greatest of needs, include them on a virtual classroom and connect them with universities and bursaries all over Africa through our web-tool www.studybuzz.org. Moreover, we pare the learners with corporates looking for students that are in need and also have employability potential. We also mentor the learners post-matric in order to reduce the high university dropout rate for kids from at-risk areas. This center allows us to address infrastructure and access challenges in rural areas. 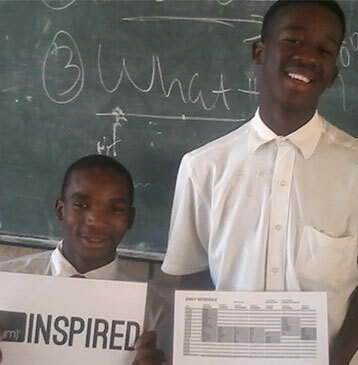 We have taught over 800 students at Thase so far from grade 10 to 12. We have, as a result improved the schools’ results from 62.5 per cent in 2012 to 89.6 per cent in 2013 to 95.55 per cent in 2014. The school became top ranking in the region in 2014. As a result, we have taken the school from having three students go into university to an average of 22 in the last two years. These are now youth defying the odds and most likely to be employed. Design principles. Without having gone through learning the principles of design thinking at the summit and therefore understanding the clear need for good design to catalyze change, I don’t think this project would exist. Infrastructure development is key to economic development coupled with the need for Internet that is able to humanize technology for digital inclusion. Youth: Work as on campus mentors for our high school graduates. Volunteers: Volunteer 3 hours a week to tutor and give career guidance to the learners via Skype or prerecorded lesson. Corporates: Signup to offer 10 bursaries, we will find the kids with the biggest potential an greatest needs, tutor them, guide them to effectively fill in the forms, ace the interview and be investment ready for university and offer them on campus mentorship. On The Line is an online website where young people discuss a broad range of topics. We focus however on social issues or topics where an opinion is given in the hopes of creating discussion. On The Line has the impact of creating awareness around important topics. It helps promote discussion and critical thinking for the age group 18-25, which is often disengaged. My experience with BYM showed me that there are really amazing young people that DO care about issues and want to talk about them. It inspired me to find individuals like the ones I met at the summit and help create a platform where they can spread their message. 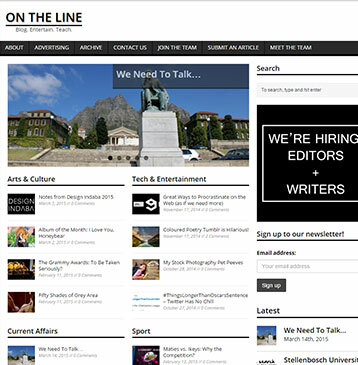 On The Line is always on the lookout for writers as well as editors that are looking to create a portfolio of articles and just want to discuss issues that are important to them. Otherwise, support can be shown in checking out the website and engaging with the material. Open Futures is a skills development company providing education and employment opportunities to support youth in townships and rural areas to be educated, employable, entrepreneurial and connected to opportunities that enable them to support themselves. Our aim is to eliminate the high dropout rate among youth from townships and rural areas by ensuring they are motivated and supported to finish Grade 12 and are adequately prepared to handle the transition to and the demands of higher education, entrepreneurship or work. BYM is one of the few organisations in the country which adds value to the promise for opportunity for us social entrepreneurs. Seeing the high impact and innovative projects constantly being implemented by the BYM community allows me to innovate in my own work. Open Futures offers effortless strategic project implementation partnership for companies and small businesses. If your organisation seeks to invest in skills development, enterprise development, socio-economic and community development funding targeting youth in townships and rural areas, contact us to tap into our programmes and talent pool. Individuals who want to invest their professional development hours with us can get in touch about supporting our operations, tutoring opportunities and special projects. On social media? Spread the word about us to your network.